If you rent a mobile home, you have the same rights as a tenant in an apartment building or house. Read the earlier sections of this online handbook, which apply to you. To read about your security deposit. For the period before September 12, 2009, the landlord must pay 4% interest on your deposit. For later periods, the park owner must pay you a market-based rate of interest. Your landlord must put your money in a separate, protected bank account (which can be pooled with other deposits). You should get all of the interest earned on your deposit. In the alternative, your post 9/12/09 interest will be based on the Federal Reserve's secondary market 6-month CD rate for each year the landlord has been holding your deposit. The park owner may charge fees. Fees may include rent, utilities, incidental service charges, security deposit and an entrance fee. Before you move into the park, the park owner must explain all fees to you in writing. Before increasing any fees, he must give all tenants at least 30 days written notice. 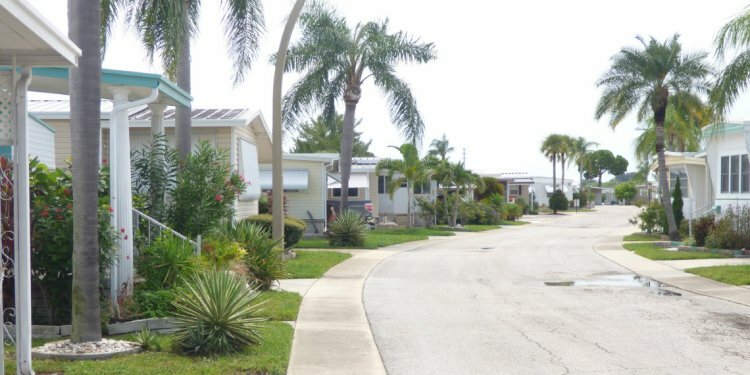 If you are moving into a mobile home that is already in the park, the park owner cannot charge you more than 2 times the monthly rent for an entrance fee. He cannot call this fee something else, in order to get around this limit. The park owner cannot require you to buy your oil or bottled gas from him. He cannot choose your dealer; that is your choice. The park owner cannot require you to buy from him any underskirting, equipment for tying down mobile homes or any other equipment. The rules must be reasonably related to keeping order and peace in the mobile home park. All park rules must be fair and reasonable. A rule is presumed to be unfair if it does not apply to all park tenants. (However, the park owner may be able to prove that a non-uniform rule is fair, if he has a compelling reason for the rule.) The park owner must give all tenants at least 30 days notice of any rule change before it takes effect.